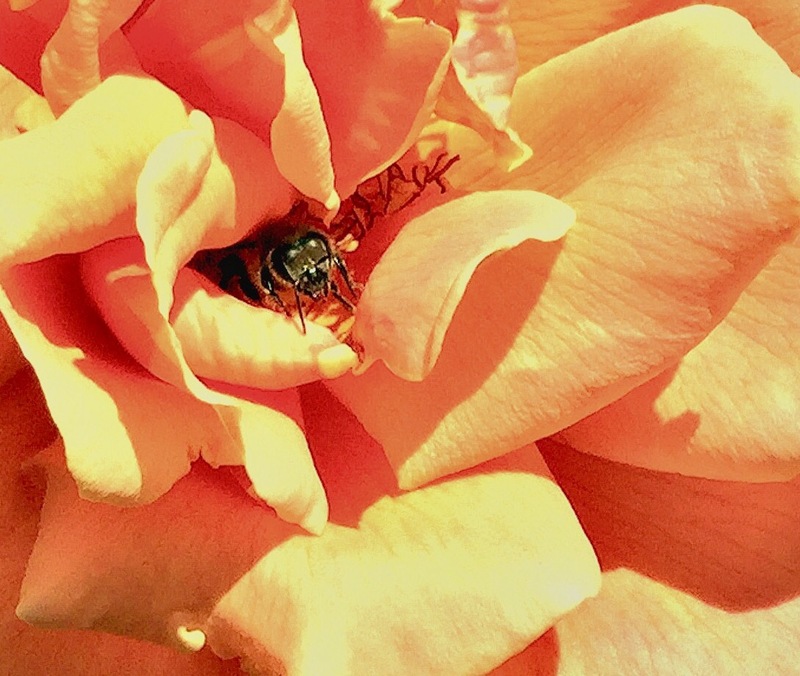 This entry was posted in flowers, Gardening, iphoneography, Nature, Photography, Roses, Visions and tagged Bees, flowers, Gardening, Photography, weekly photo challenge. Bookmark the permalink. Nice closeup, Carol. The color of the flower goes well with the subject of honey. Oh yes honey colored rose. Thanks. I’ve added a special jar of honey from our daughter’s wedding. Makes me satisfied just seeing the photos. I love honey! And what a great idea for the wedding. What wonderful wedding favors! I love it. The timing on your photo of the bee in the flower was spot on! Great use of satisfaction. Clever idea for wedding favors. Congratulations to the newly weds. Thanks. I’ll tell the kids. Wow! Great bee shot. The honey looks so good too.